Make your Marvel mash-up! The Marvel Mash Ups Mr. 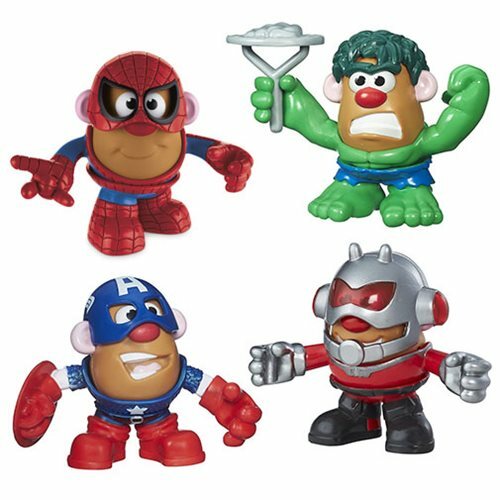 Potato Heads feature multiple costumes allowing you to make your very own starchy super heroes! Each figure includes 2 costumes. Each measures about 3 1/4-inches tall. Ages 2 and up.